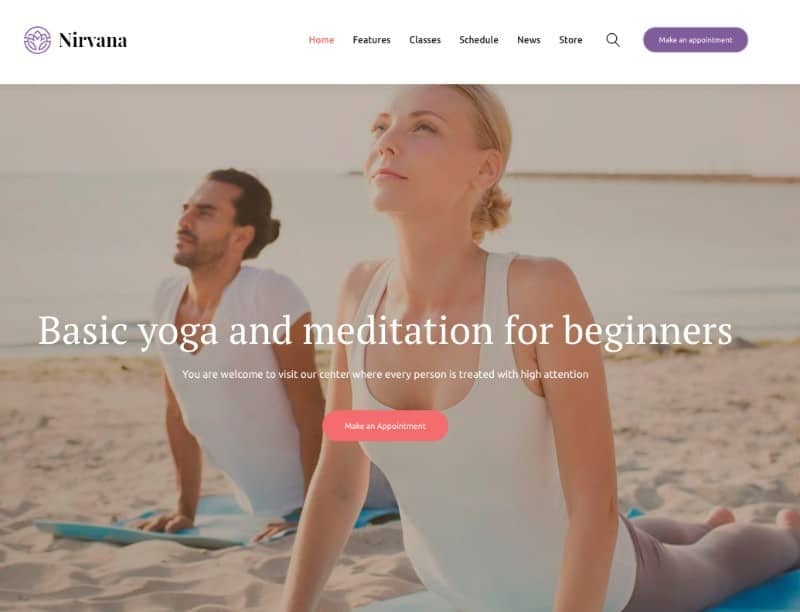 Discover the 23 best WordPress themes for yoga studios here. We include drag and drop themes, specific yoga studio themes, fitness themes and so much more. The ultimate list. It was only a few short years ago that I paid a website designer more than $3,000 for a simple five-page website. That’s a TON of money for a website. Since then I’ve built dozens, if not hundreds of websites, and the cumulative cost is not even a fraction of that $3,000. WordPress makes it possible for small business owners and bloggers to get a fantastic website published fast. The website you’re reading is published using WordPress. What makes WordPress so great, other than the cost (it’s free because it’s open source), is the massive and growing community of website designers who create website designs called themes. There are literally thousands of themes to choose from. Many are free and many you must pay for, the cost ranging from $10 to $130, or more. That’s a lot cheaper than my $3,000 website. What about free WordPress themes? I’ve used free themes, and there are some great free themes out there. The trouble with free themes is the possibility of embedded links to websites to which you definitely have no intention of linking. Yes, designers create free themes so that when downloaded and published, there’s a link or links to other websites totally unbeknownst to the theme user. 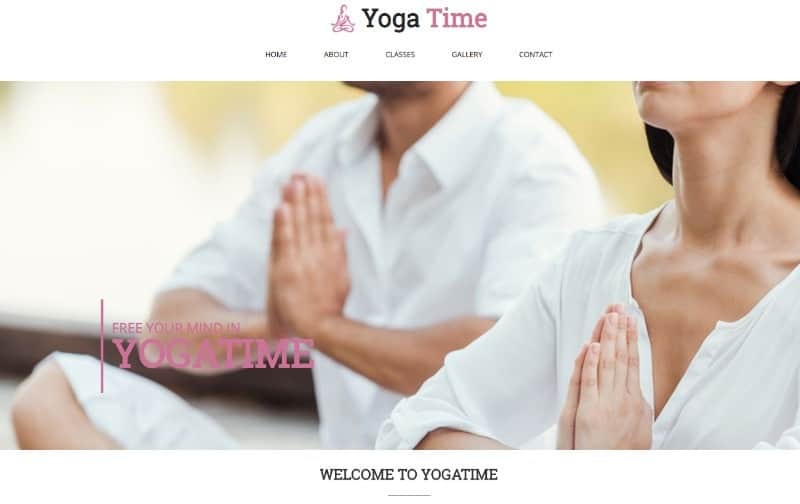 Don’t get me wrong, there are some great free themes available, but you should be aware that not all free themes are something you want to use for your yoga studio website. One other benefit of using themes is you can customize them. You can customize both free and paid themes. You don’t need to use the default design. use a WordPress theme generator (I discuss these toward the end of this article – after my list of 10 yoga studio website themes). Where do you start your theme search? Since there’s thousands of themes available, where do you start with your yoga studio theme search? Right here is a good place. I’ve literally used dozens of different themes for various business websites by many different theme developers. Which of the 23 themes below do I recommend? 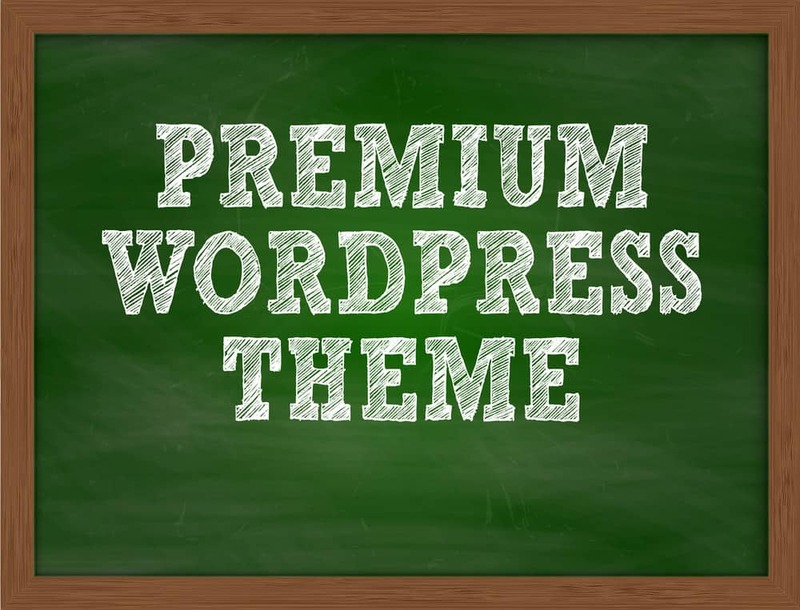 I strongly recommend themes from the first 3 WordPress developers – ElegantThemes, StudioPress and MyThemeShop. 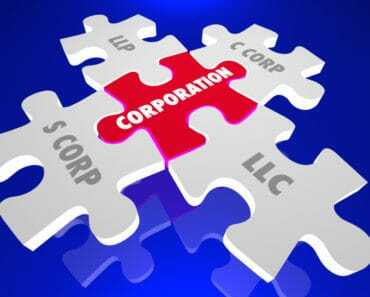 They offer excellent support and updates. I’ve used many themes from WordPress markets like ThemeForest and while some are great, some are terrible. The problem is you never know which are the good ones and which are the bad ones. While themes from Elegant Themes, StudioPress and MyThemeShop are all very well coded and their platforms have stood the test of time. While I include only one example from each below, any theme from those 3 developers will be good (I’ve used many themes from all 3 developers over the years and recommend them). 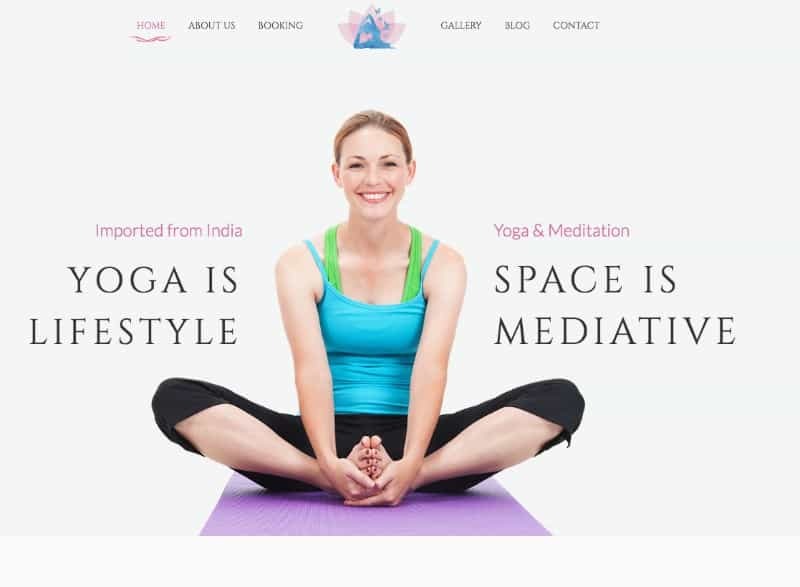 Here’s my list of the best WordPress themes for a yoga studio business websites. 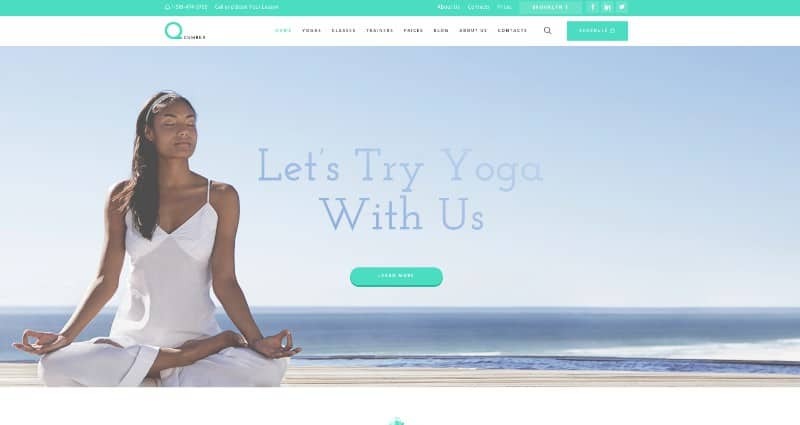 Out of the best WordPress themes for yoga studio websites, Divi stands at the top of the list due to its unprecedented level of customization options. That’s possible due to Divi Builder, a front end editor that’s both impressively comprehensive and exceedingly swift. The real-time design functionality allows you to see the effects of your code as you write them, while 46 different content elements combine to give you more control over your site’s design. If you’re looking for a place to start, you can hit the ground running with their pre-made layouts. Divi Builder also comes with import and export options, easing the process of migrating your existing site or saving your created layouts for later. Over half a million customers rely on DeepFocus when they need a responsive and versatile WordPress theme. 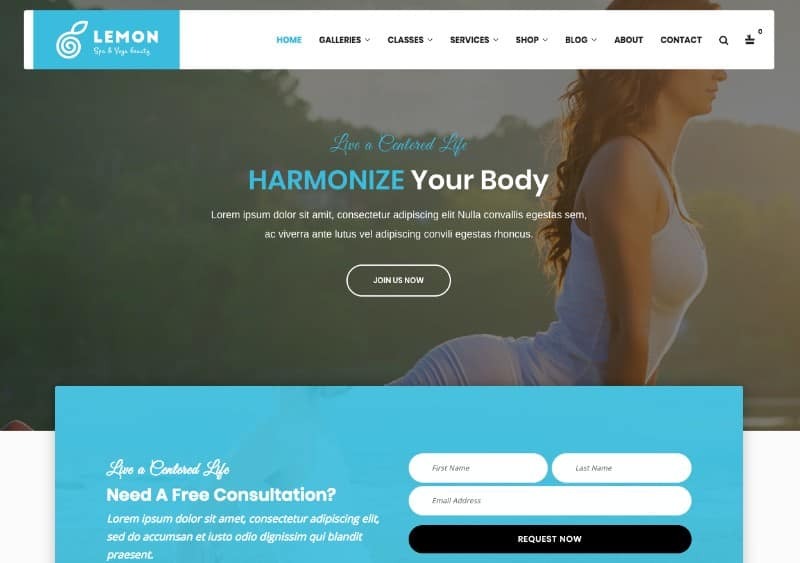 While their platform isn’t exclusively designed with yoga studios in mind, the density of options makes it a great fit for any yoga business website. When you use DeepFocus, you can be confident that your site is compatible on all modern browsers, and DeepFocus comes with five unique color schemes to help you get started. That level of compatibility translates to practically every aspect of this theme. All themes use coding best practices, and the developers are conscientious about making sure that their themes are constantly updated. DeepFocus is built explicitly with responsive design in mind, so you can be confident about your site looking good on practically any device. The Wellness Pro theme comes with the Genesis framework packaged in. This framework is designed to help optimize your yoga studio content for SEO, and the impressive range of features mean that customers are more likely to stick around after getting directed to your site through a search. Less experienced users looking to get a functional site running with little effort will find options in the form of templates, customizable headers, and personalized widgets. But more experienced developers will find plenty to love with their theme options. This theme is optimized for eCommerce as well. JustFit is built for fitness professionals, and that makes it an ideal match for yoga studio sites. But the specialized approach doesn’t mean that JustFit is lacking in options. Their color selector gives you unlimited options, while a simple drag and drop creator lets you put together the site you want without having to learn a line of coding. 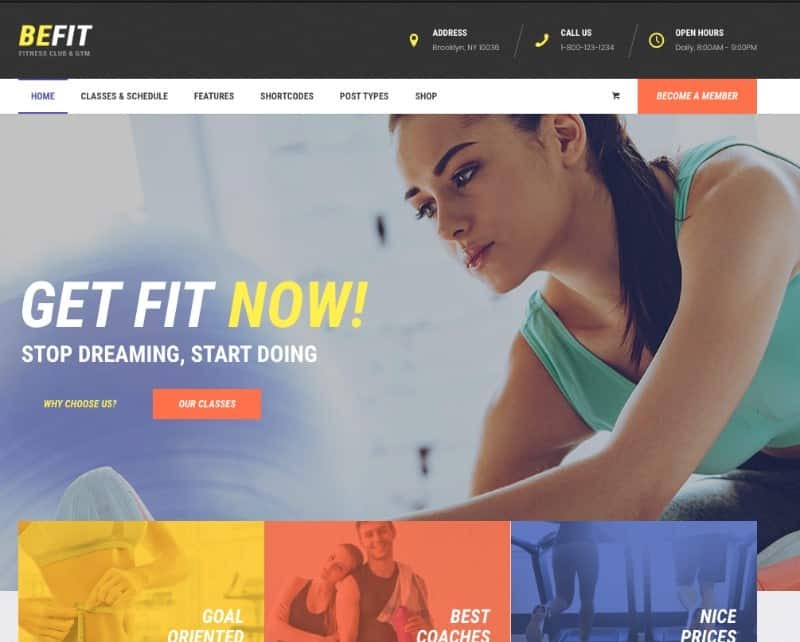 JustFit is optimized for speedy performance and responsive design, and it coordinates well with AdSense, allowing you to earn money directly through your content. SEO functions are also baked in. Themify’s Ultra theme promises the ability to deliver beautiful and responsive content in less time without having to learn the fundamentals of coding. But it also includes the necessary tools for experienced developers and designers who want to spend less time doing monotonous coding. Their packaged codes are great for creating a quick site design or serving as a means to prototype features without having to build the groundwork first. Ultra comes with 12 bonus builder add-ons for free. These include the ability to integrate pricing tables, maps, eCommerce and more into your site easily. With Yoga Fit, you can combine all the components you could need for your yoga studio directly into your website. Their timetables are easy to establish and incorporate into your site, and they also offer simple and effective ways to create a storefront for your customers. Just Fit has one of the largest collection of shortcodes around. These allow you to take some of the more complicated and labor-intensive tasks in creating website elements and fold them into your site with practically no effort. It also comes with the CMSMasters Visual Content Composer, an especially effective means for putting together compelling aesthetics. 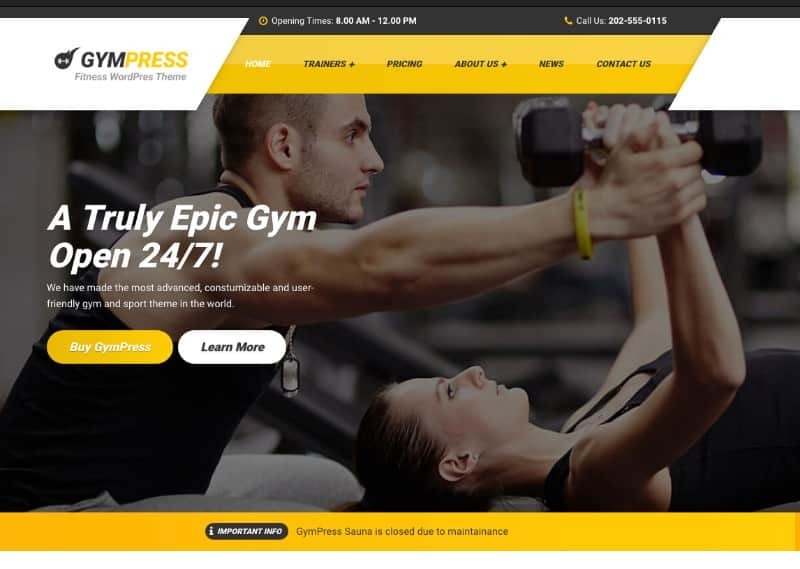 Gympress is both eminently customizable and incredibly user-friendly. Free and premium plugins allow you to reach out to a wider user base by translating your site into a variety of different languages. 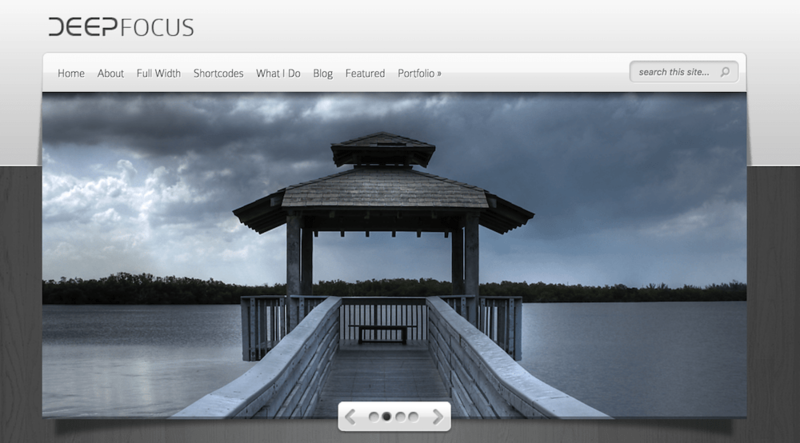 The entire theme can be set up in just a minute, and you have a lot of options to build your own custom backgrounds. Whether you’re looking to use an image, a video, or a media slider, you have the options right at your fingertips. Their one-click updates allow you to make sure that your site is always current with little maintenance. Nirvana is compatible with WPBakery, a fully featured WordPress plugin that eases the process of creating an attractive site, but Nirvana comes with a number of great utilities all its own. You can start with one of three attractive homepage layouts or build your own from scratch. Whatever route you choose to take, Nirvana comes with online appointment booking and management, class and schedule tables, and compatibility with Woocommerce. Templates are also pre-loaded for some of the pages critical to any yoga studio site. This includes about, team, contacts, and service pages. 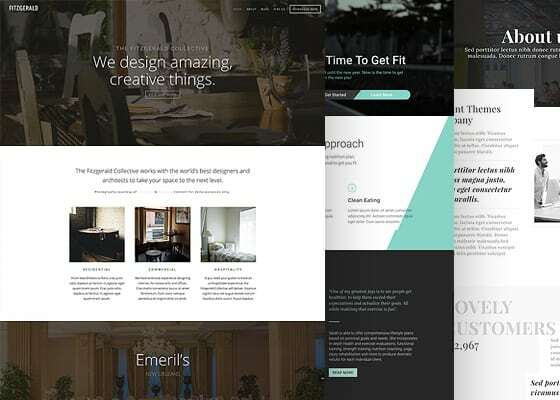 When you use the Flusi theme to build your WordPress site, you can be confident that all of your HTML and CSS code will be 100% valid and built from the ground up to meet the responsive needs of your clients. In addition to the necessary functionality of booking calendars, Flusi has made it simple to boost your SEO content and keep users coming back with the ability to create and maintain compelling blogs. Users have a wide variety of color and font variations to choose from, and the friendly and accessible support team behind this theme is especially worthy of note. Mandala understands that quality responsive design isn’t just about making sites compatible with the most popular devices but also building with the future of technology in mind. Mandala will run smoothly whether your customers access it on their traditional laptop, their cell phone, or a Retina display. The standard theme includes the ability to integrate class scheduling and a storefront, but you have a high amount of control over the final design through their dense library of shortcodes. A ready-made blog and news subscription is also implemented, so you can maximize visitor retention. This yoga WordPress theme is compatible with both Visual Composer and WooCommerce. Their platform is SEO-ready, allowing you to climb quickly to the top of the search engine rankings, and the feature-rich but intuitive admin panel simplifies the process of managing your site’s operations. It also offers multiple header variations. But the biggest advantage is their drag and drop editor. Designers can easily mock up websites that put aesthetics first and minimize the need for figuring out complex code solutions. Yogi is built for responsive design, integrated with Google fonts, and designed for easy translation into other languages. Tantra’s Visual Composer compatibility streamlines the process of making an enthralling looking website, while their compatibility with WooCommerce allows you to create and manage a storefront with little stress. Despite using a drag and drop page builder, there’s a particularly high level of customization with this theme and the HTML code is optimized for SEO. Mega Menu and Google Fonts compatibility are also included. If you’re looking to supercharge the functionality of your site, Tantra offers one of the best selections of free plugins available. These include Essential Grid, Revolution Slider, and MailChimp. For users looking to leverage a variety of third-party services, Tantra is one of the best themes on the market. 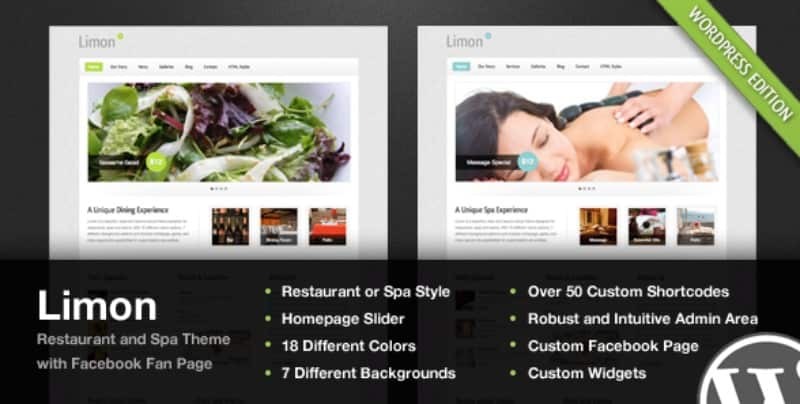 Lemon offers most of the standard features you can expect from a yoga studio WordPress theme. That includes Visual Composer and WooCommerce compatibility, templates rooted in responsive design, and one-click setup for demo data. Lemon also comes with over $100 worth of premium plugins free of charge. Whether you’re looking for search engine optimization, a polished and easy to implement image carousel, or the ability to integrate AJAX contact forms, you’ll find it here for no extra charge. The nimble code behind Lemon results in speedier websites, and Lemon’s templates work seamlessly across all major browsers. Be Fit was developed by CMS Masters, the developers behind Yoga Fit. While it’s a less focused platform, its versatile options may make it a better choice for studios looking to put in a little more effort customizing their site. The events calendar, timetables, and Woocommerce platform make up the core of the experience, but the value of this theme is bolstered by integration with a number of different premium plugins and access to over a hundred shortcodes. They also offer some of the best support around for users looking to integrate blogs into their yoga studio sites. 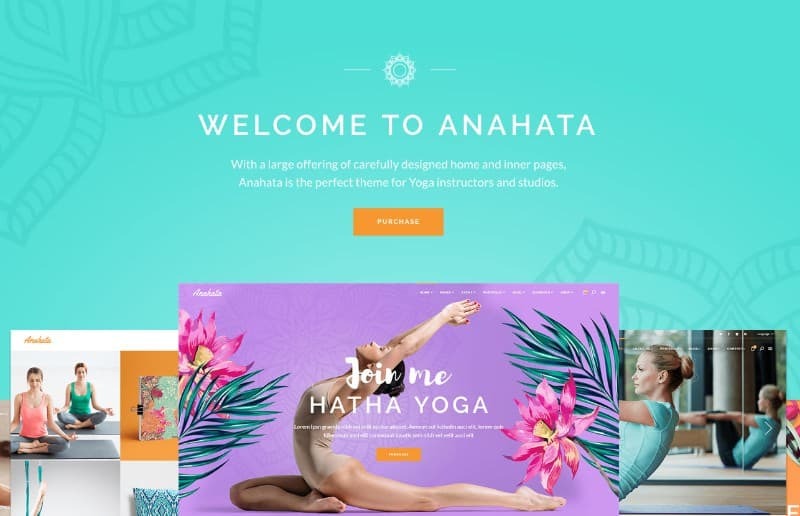 If you’re looking to get a website up and coming quickly, Anahata has you covered. They offer 12 beautiful homepages that you can quickly customize with your personal information and get up and running with minimal hassle. The combination of voluminous documentation and a drag and drop interface allow you to develop professional-looking content without having to know any code, and the responsive support team is ready to assist you if you do hit any snags along the way. Deep typography options come in the form of Google Fonts compatibility, and easy color change functions are also included. 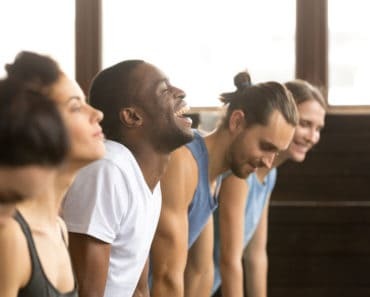 While QCumber is built as a multi-purpose health and beauty theme suited to a variety of different related businesses, one of their six ready-to-use demos is dedicated exclusively to the needs of yoga studios. Over 445 flexible shortcodes are included in the package, and they’re all readily available through the smart theme options panel. Over 20 types and layouts, as well as 11 types of headers, are included in this package, and you don’t have to worry about what devices your customers are using. All of qCumber’s themes are designed with a mobile-first approach. 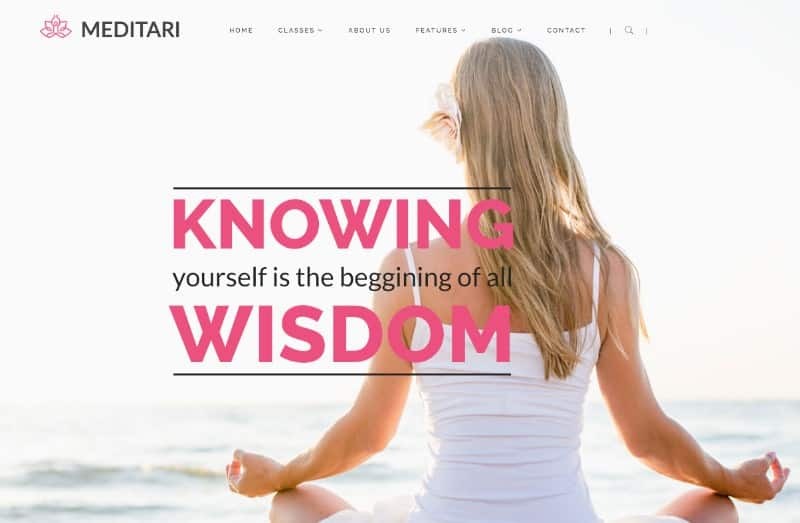 While Meditari boasts a simple but flexible interface that works well for any business model, but they’re optimized for the needs of yoga studios and other fitness-based businesses. You can get moving quick with their one-click demo install, and you’ll have a lot of tools available to you when it comes to customizing your site. Integrations are available for Mailchimp, RTL, and Revolution Slider. Site creation is centered around a drag and drop interface that eliminates the need to write code entirely. And since Meditari is built off the popular Bootstrap framework, more sophisticated developers have a lot of control over theme customization. While Limon offers 18 different color options and seven different background patterns, it’s their custom theme options panel that really shines. You get access to custom widgets, nested comment support, and over 50 custom shortcodes. There are also unlimited options to create custom sidebars and widgets. 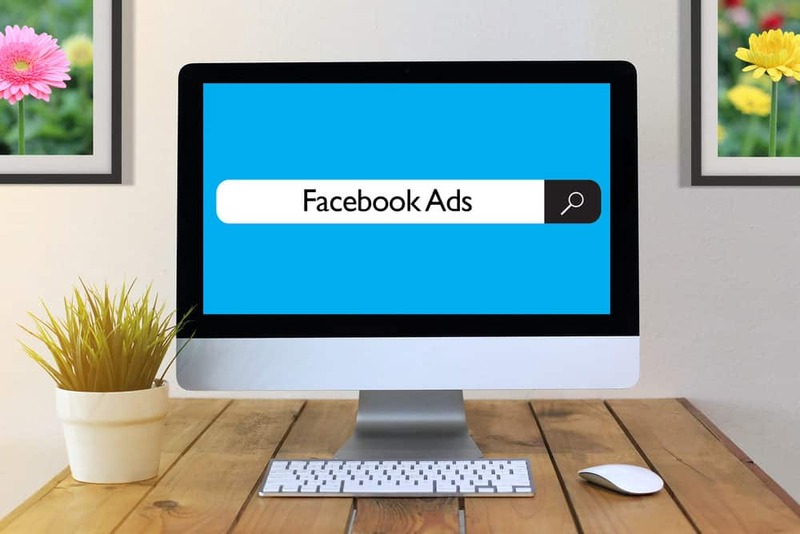 The developers of Limon understand that social media is a critical component of any business’ success, and that’s why they include options for creating a custom Facebook fan page. These are compatible with all of the theme’s shortcodes, and it will automatically update to stay current with your site’s content. 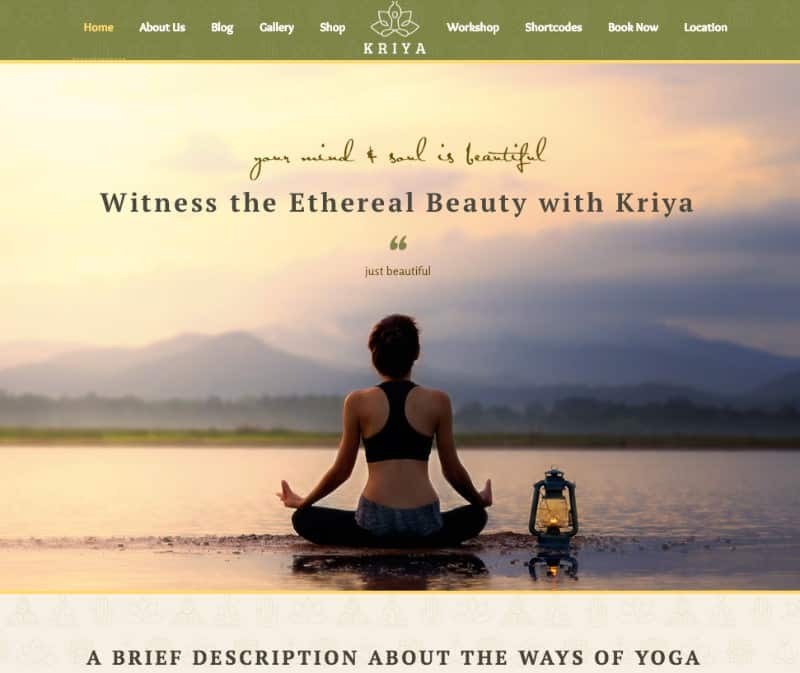 Kriya Yoga has all your bases covered when it comes to the fundamentals of yoga studio website design. Their compatibility with Visual Composer simplifies the process of managing your color options, while the inclusion of a Mega Menu plug-in gives you the ability to personalize your navigation system to your heart’s desire. Their portfolio layout options are similarly as impressive. Hover effects are easy to implement, and you get access to unlimited sidebar types. If you’re looking to draw in new users with original content, Kriya offers everything you need for developing an attractive and personalized blog platform. 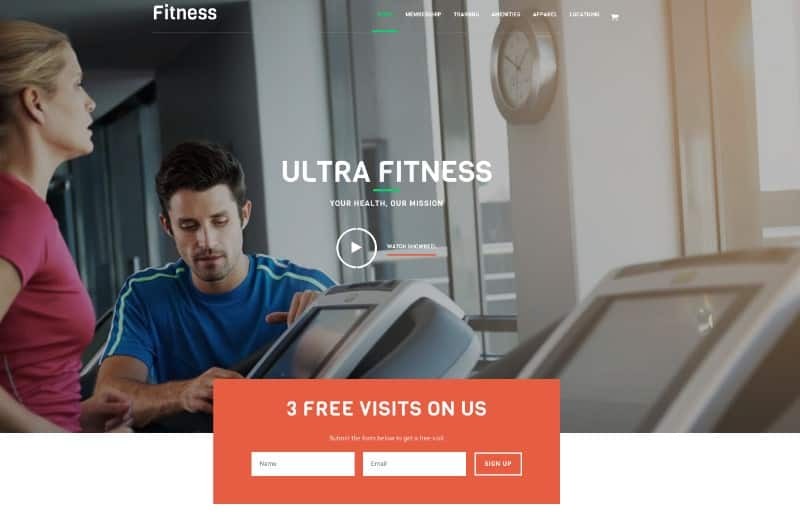 This WordPress theme is a general purpose choice built for the needs of any fitness related website, but it’s a respectable choice for yoga studios. 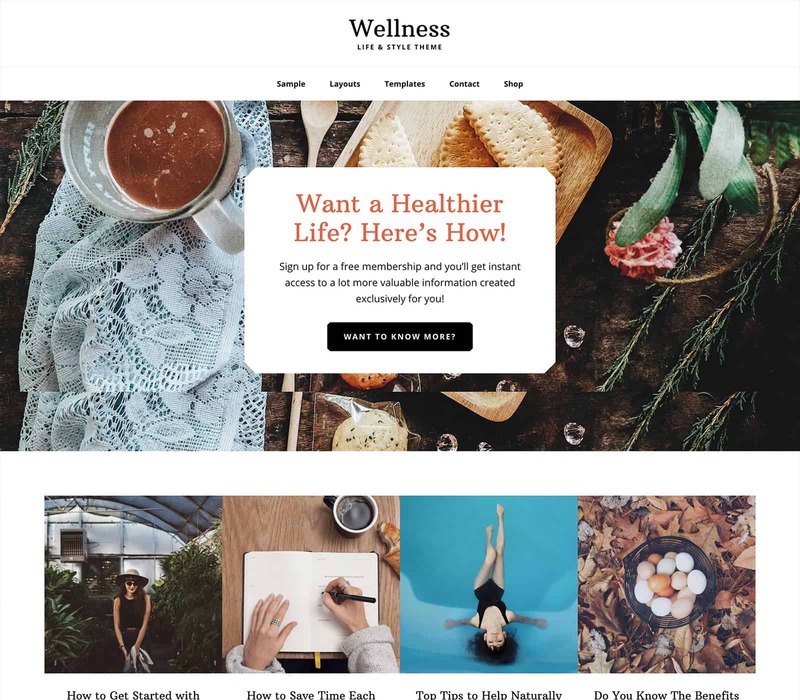 Their classes pages contain multiple layouts ranging in design from one to three columns, and they also offer four different layouts you can use to customize your blog. Their MailPoet powered widget, designed for custom newsletters, isn’t available in most yoga studio themes. If you’re looking to integrate your social media presence with your site, you’ll find a wide range of icons designed for integration with site headers and footers. 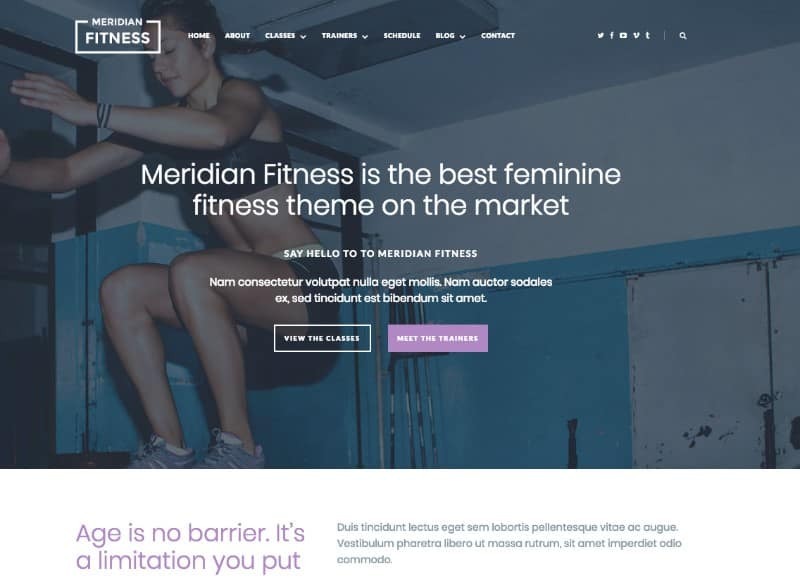 Yoga Coach touts endless possibilities for site designers, and that’s largely possible thanks to their Piklist WordPress framework, Kirki customizer, and SiteOrigin page builder. This theme is compatible with Google Fonts, and its technical support options are impressive. You’ll get access to video tutorials, comprehensive documentation, and live customer service support. All of the code in Yoga coach is built to the highest standards, and their theme is fully responsive to meet the needs of customers on a range of different devices. Compatibility with MailChimp makes it easy to integrate your site with your email marketing campaigns. This responsive theme is built with HTML5 an CSS3, so you can trust that it’s up to date with the latest versions of front end programming. There’s plenty of free integrations here, with icons from Socialico and the full collection of Google Fonts. Their unique and modern design is also fully responsive, compatible with everything from tablets to phones to retina displays. It’s also optimized for SEO and compatible with every modern browser. This flat and clean WordPress theme builds off the modern philosophy of practical design. Their class scheduling system supports both Google and MindBody calendars and makes use of a color-coded system to produce elegant and intuitive results. And while many available themes provide storefront integration through WooCommerce plugins, Asana offers compatibility with Ecwid as well. The Revolution Slider plugin simplifies the process of adding video backgrounds, and the theme is optimized for both SEO and multi-language translation. Users get access to the full repository of Google Fonts and Fontawesome icons. As set out above, of all the themes listed, I recommend any from ElegantThemes, StudioPress and MyThemeShop.